Our Integrated Hot Stone Massage Therapy sessions will combine all of the benefits of a Swedish massage with the benefits of thermo therapy, soothing and relieving tight sore muscles and encouraging our own natural healing processes. 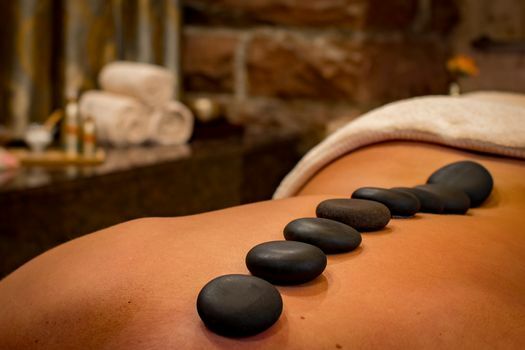 Smooth hot basalt stones will be used by your massage therapist as an extension of her hands while massaging the body. Deep tissue/trigger point techniques can be incorporated into this treatment as well as a therapeutic mix of both hot basalt stone and cold marble stone where appropriate for injured muscles helping to reduce inflammation encouraging faster healing. Our Integrated Himalayan Salt Stone Massage nurtures and warms you while infusing all the qualities that Himalayan salt stones offer. Himalayan salt stones contain 84 essential minerals, help moisturize the outer layers of skin, and help promote deeper sleep and relaxation.